According to Nancy Stephens, who once owned this house, it was built circa 1815 by Thomas Whaley in the Federal style. It was purchased in 1853 by Edmund Pendleton, who expanded it for his large family. 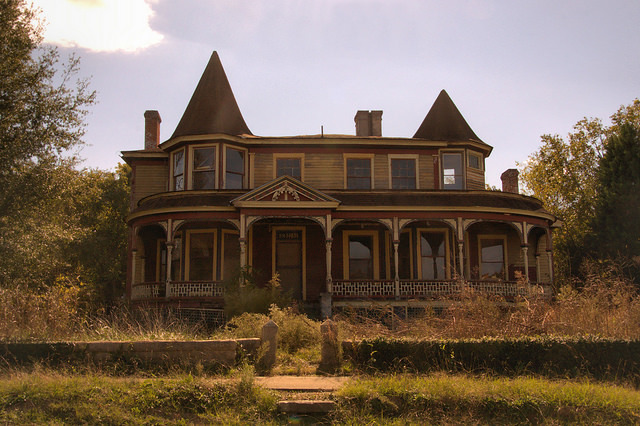 R. A. Graves bought it in 1880 and modified it to its present Victorian appearance. It is presently unoccupied. I owned and did a partial restoration on the Pendleton-Graves house from 1989 till 1993. This house has hit on hard times several times in the last 100 years. It is now vacant and belongs to Hancock County. It was put up for tax sale, but there were no bids. I loved this house. It and it’s ghosts. 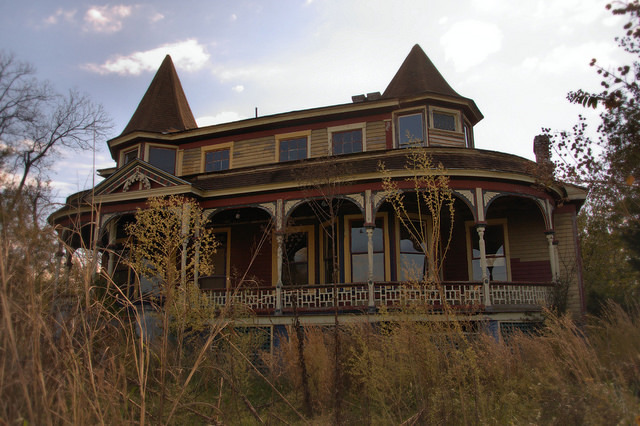 I would dearly love, and would help all I can, if someone will purchase this house and restore it. I put on a new roof in 1992 and painted the outside, and most of the inside, during the rest of my wonderful and magical stay there. The location of the house is terrible, but it is so worth saving. The interior is fantastic. Please help save this house. The last large Victorian (I know that is not how the original house was laid out) that went up for sealed bid (this house’s fate) sold for $5,000. Please save this house. Thanks, Nancy Stephens. PS. I have copies of some the old deeds and from my research, the house was built by Thomas Whaley around 1815. Hi there! I would like to speak to you about the home and the partial restoration you did on the home. Please email me at sunshinenomore@live.com. Thank you! Is this still unoccupied? There is a satellite dish outside and two dogs out back of the house as of 2-24-18. That is news to me. There are windows out and I sure have not seen a car in the driveway. The house is right behind the IGA and when you go out of the parking lot you are in front of the house. There may have been a satellite dish from a previous tenant. I understand that there were people squatting in the house a while back. That’s interesting, I’ll have to check it out. Thanks. Hey, maybe somebody bought it and they are going to restore it! I photographed this house myself a few weeks ago! I descend from the Pendleton and Graves families who are related, although I would have to figure out how in regards to this house- I have not seen it before now. So beautiful. I hate that it has been left to decay.